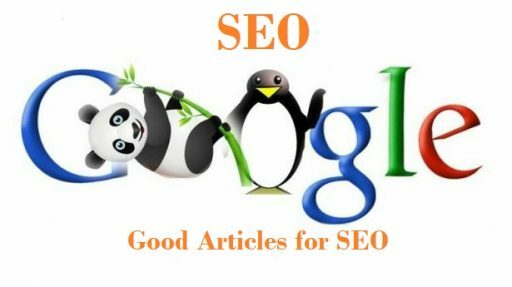 How to Write Good Articles for SEO - Good article writing techniques we need to master if you want to apply SEO on the website. Website articles, or also called body copy, are an important part of On-page SEO. The main information we want to convey to website visitors is here. Not only that, the success in creating a viral effect is very dependent on the content that we write in it. Search engines like Google also look at our articles and assess whether they are eligible to appear on the first page of search results or not. Here we will learn how to write good articles for SEO. Writing Articles for Readers Formerly, New Optimization for Search Engines This is the rule of article writing that should not be broken. Write for readers (human) first and then we optimize the text for SEO friendly. Do not get upside down! Basically, any search engine wants to present the best content to the people who are searching. Therefore, prioritize visitors instead of search engines. Useful articles and have good writing will be liked by visitors as well as Google. Here I will not discuss in detail what kind of writing is good for the reader. You can read tips on writing good articles from Wikipedia to find out more. If you've made a good article, it's time to do the optimization to be liked also by search engines. How Many Good Words to SEO? There is no particular reference to the minimum number of words we have to write. Nevertheless, of course, either the reader or the search engine needs a sufficient number of words to be able to get important information that we really want to convey and they need. I recommend writing articles with a length of at least 150 words. Are the longer articles we write the better? Most of the articles in Google's top positions are between 300 and 1000 words. But not the number of characters that cause this. Again, the idea is to present good content to the reader. For example, about 200 words are enough to create an article on "How to Purchase Electric Pulses at ATM". On the other hand, 500 words are too few to write a general article on "United State". Use our main keyword on the content of the article for Google to know the main idea of our writing. No need to much, usually mention 2 to 5 times is enough. We can also use attributes such as bold, italic, or underlined, to reinforce the main idea of writing. But do not use it excessively. We do not have to bold all the keywords we enter. For the uninitiated, keyword density is the ratio between the number of keywords compared to the total characters that exist in the contents of the article. For example, if the length of our article is 100 words and we mention the keyword as much as 5 times, then its keyword density is 5%. So what percentage should we use? Keyword density is one of the SEO myths. Some say 3% or 5% is the ideal amount. But Google does not consider it important. So just ignore keyword density. Use keywords on the content of the article as needed. Write articles for the reader naturally because that's the best. Do not just mention keywords over and over again, because it will be considered doing "keyword stuffing". An explanation of the importance of keyword density can be seen in the following video. Sometimes the reader does not immediately understand what we are saying. Using multimedia can solve the problem. For example, explaining how to shop in an Online Store would be better if it includes a video. Another good example is to add an image to an article that discusses the parts of interest. Also, make sure we already know image optimization techniques for SEO to get more leverage. Often the reader only needs some information from our articles. Therefore it will help them if we break the article into several subtopics of discussion. We can do this by using headings (H1, H2, until H6). Also, read other posts on this blog about how to optimize headings for SEO purposes. If we have ever written another article that is still related, try is to put a link (link) to the article. Use a clear word or phrase as an anchor text, not just general words like home, click here, and so on. When we quote something from another website page, add an external link as well. But you should not use anchor text with keywords that we also shoot. Especially for external links, make sure the website we link to is a trusted website. Wikipedia is a good example of a website for reference. Baca Juga: 4 Causes of Quiet Visitor BLOGs.